Signs have always fascinated me for some weird reason. A few caught my eye around the island. 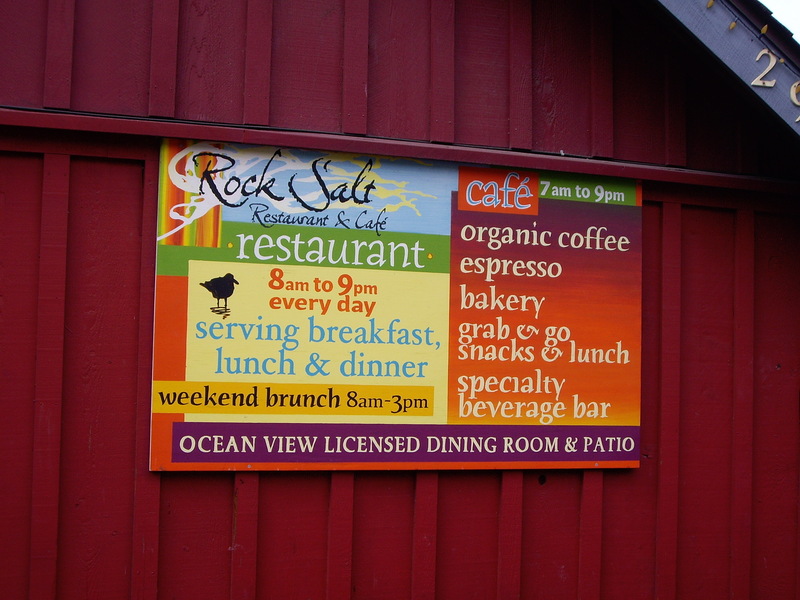 Great color on the Rock Salt Café sign in Fulford Harbour! 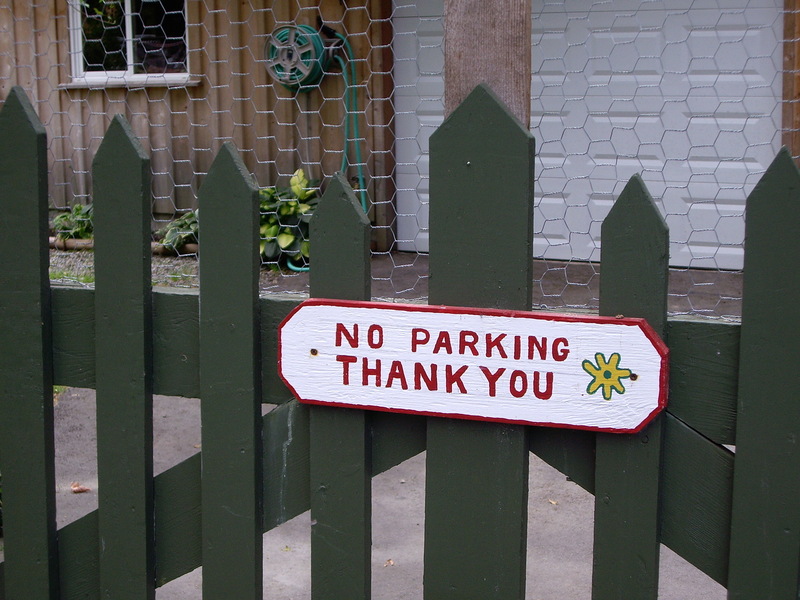 How courteous can you be to parking violators? 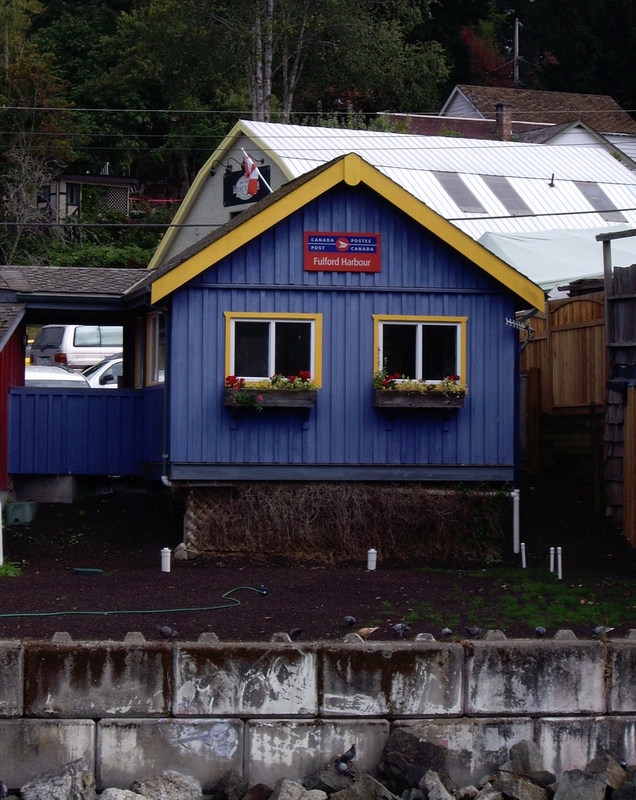 Only on a Canadian island! 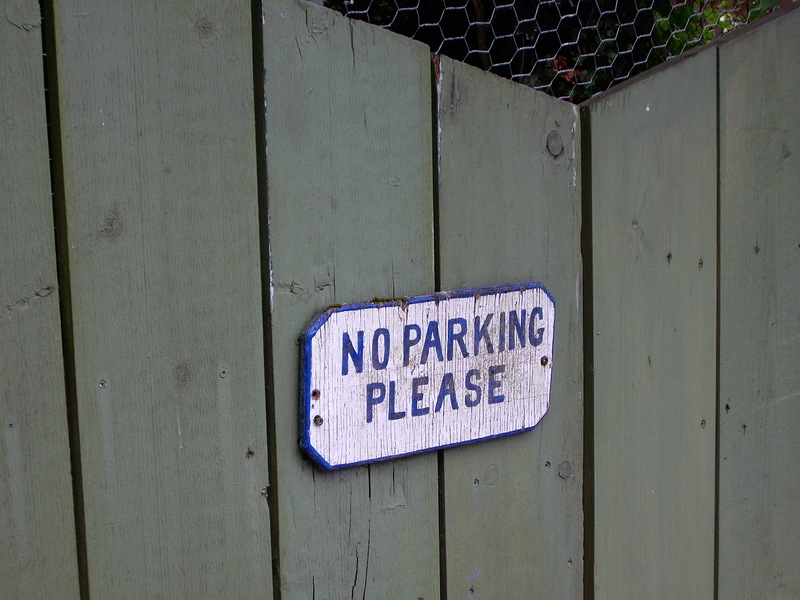 An eminently polite no parking sign! 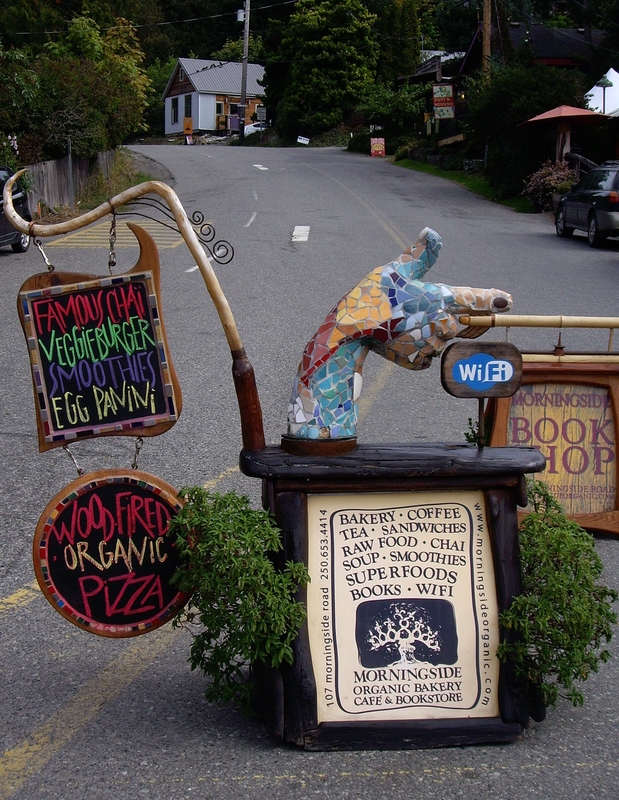 Around Salt Spring there’s some pretty creative signage, such as this collection greeting vehicles off-loading from the Fulford ferry terminal. Reminds me of that song, Signs, by the Canadian group, Five Man Electrical Band. Has a catchy sound to go with this catchy look. 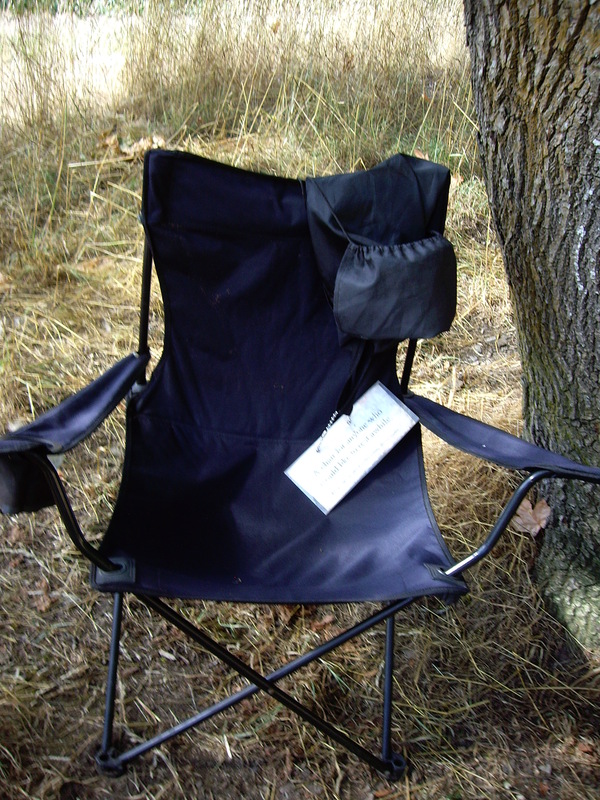 Hiking through Duck Creek Park, we came upon a chair with a sign. Simon, my brother-in-law, assured me that it would not be stolen. So cool.